Mumbai has produced many dons—but perhaps none so colourful as Abu Salem. The flamboyant ex-aide of Dawood Ibrahim is best known for his involvement in the Mumbai blasts of 1993 and for the murder of music composer Gulshan Kumar. But he became equally famous for his relationship with actress Monica Bedi and his close connection to Bollywood, leading to a number of attempted murders of the film industry’s biggest names. Now comes the ultimate telling of his life from the writer who knows the Mumbai underworld better than anyone else. 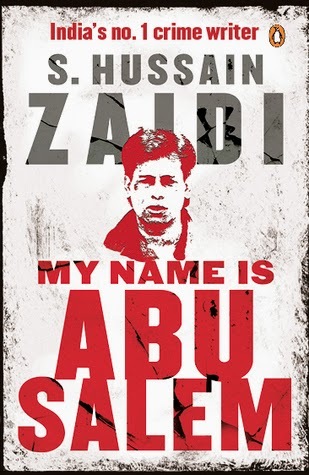 Gripping, full of unknown details and first-hand accounts, My Name is Abu Salem is another unputdownable book from Hussain Zaidi. Hussain Zaidi is an Indian writer and former investigative journalist. He was born and raised in Mumbai, and is a chronicler of the city's underbelly. Mindblowing - Superb- Awesome are the only words that come to my mind after reading this book. The word unputdownable in the blurb is perfect for this book. This man is simply awesome and that I realised once again the moment I sat to write this review. When I saw the book had been tagged as non fiction is when I was like No.... this seemed like some amazing movie, so captivating and engrossing! From the first word itself he had my attention completely till the last word. I was flipping pages in a breathless condition. There are a lot of aspects in this book which we all knew ( if you have been following the newspapers regularly) but there were a lot of things which were like a surprise for me, bringing so many WOW moments for me. I spent an entire afternoon with this book and it was more than wonderful. A weekend spent perfectly. There is no doubt this author has been called India's no. 1 Crime writer along with being a writer who knows the Mumbai underworld better than anyone else. Having read his previous works, I am appalled at the way he manages to leave me in awe in almost every book of his. When you read this story of Abu Salem, there are places where you feel sympathetic towards this man and there are moments where you feel disgusted as his actions, such is the rawness with which things have been presented in this book. The best thing about the author is he never lets his personal views or opinions over rule the real facts. He rather presents it at the end of the book as his own comments and that is what makes it more intriguing. The whole story traces the life journey of Abu Salem right from his birth to current date, as recent as May 2014 and it is no less than a Bollywood movie. Their lives are always under the public scanner because of the profession they are in and the small snippets that keep coming sometimes give you a disillusioned figure of the real picture. But this book is where all the facts come together to give you the real picture which is as accurate as it could get because of the sources. If someone were to ask me what made me read this book - well I don't know what piqued my interest, all I know is I was dying to read this one and today I am on the seventh heaven for having read yet another masterpiece from such a fabulous author. DON'T MISS THIS ONE at any cost! This one is a must read for the sheer beauty with which Hussain Zaidi manages to handle this topic so well, no wonder he is one amongst the 100 influential people in India list 2014 by Forbes. 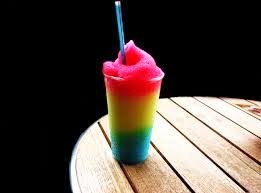 This book is a like a brain freezer - absolutely delicious and one that will make you go bonkers!